Something to look forward to: Following last month’s rumors of its existence, it looks increasingly likely that Netflix will be adding another mature animation based on a video game to its roster. This time, long-running hack and slash ARPG franchise Diablo could be coming to the streaming service. 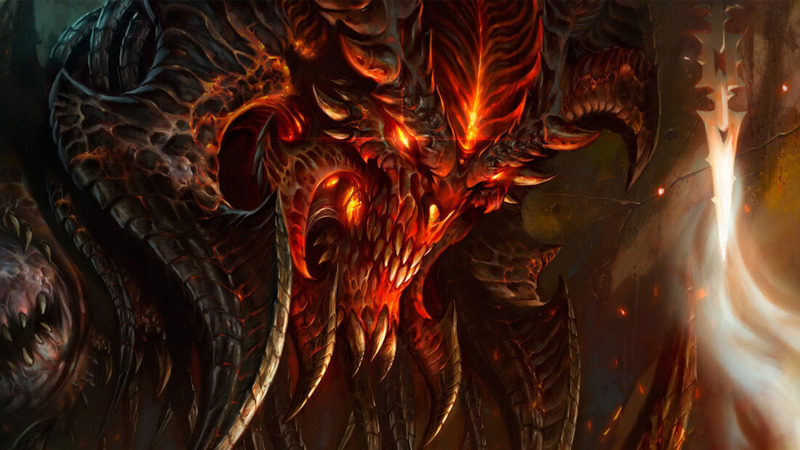 In early August, Blizzard Entertainment announced it was working on multiple Diablo projects. While this no doubt covers several games, perhaps a Diablo II remake or even Diablo IV, it’s likely that an animated series is also being developed. A few weeks after that announcement, Netflix was rumored to have found a writer for the Diablo series: Andrew Cosby, the BOOM! Studios co-founder and screenwriter of next year’s Hellboy reboot. Replying to a recent fan question over his involvement with the Diablo project, Cosby confirmed he was in final talks to write the series and become showrunner. “I guess I can confirm I am indeed in final talks to write and show-run the new Diablo animated series for Activision and Netflix. It’s very exciting and I hope to the High Heavens it all works out,” he tweeted. Cosby quickly deleted the tweet, so there may be an official announcement yet to come. He does emphasize that it’s not a done deal, but at this stage it looks likely that the project will go ahead. Netflix is no stranger to turning video game properties into shows. It found success with the excellent Castlevania animated series, which was aimed at more mature audiences. When speaking about the possibility of a Diablo series, Cosby said it would “definitely be Rated R."
We’re likely to find out more about future Diablo projects at BlizzCon, which takes place at Anaheim on November 2. Game fans also have Netflix’s The Witcher series to look forward to, which will see Henry Cavill take on the role of Geralt.